Since it’s establishment in 2010, AGSA has continually grown and developed into one of the most successful competitive acrobatic facilities in the country. With a 100% USAG Safety Certified and NCSI Background Checked staff, AGSA offers a premium gymnastics education for your child. Our dedicated athletes have represented AGSA, Team USA, and Team Mexico all across the world, and we have produced numerous World Age Group Competition medal holders. New to Gymnastics? Try a FREE class! Already have an athlete enrolled? With the increased demand for academic achievement, and the distractive ability of modern technology, children have less time than ever to discover the amazing feats their body is capable of achieving. The greatest discovery your child can make, is who they truly are. Regular socialization is paramount to a child’s understanding of the needs and feelings of others, as well as for developing their ability to improvise, and adjust to various social situations. This makes gymnastics class the perfect social experiment. 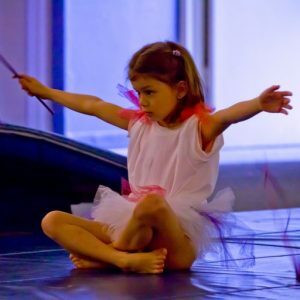 Gymnastics is a total body sport utilizing functional muscle groups that, when properly exercised, will allow your child to achieve amazing feats. All while increasing cardiovascular health, longevity, strength, endurance, flexibility, and mental fortitude. The most successful individuals are those with the drive and determination to see things through, even when they get hard. The constant training required from gymnastics will give your child the stick-to-it-ive-ness to get through anything life can throw at them. Our Pre-School Gymnastics classes utilize various apparatus to help pre-schoolers develop coordination, listening skills, patience, strength, balance, and flexibility. Entry level skills such as rolls and handstands are practiced in this program. Unlike gymnastics, where students utilize various apparatus, tumbling consists of floor and trampoline skills only. These skills include cartwheels, handstands, rolls, handsprings, and more advanced tumbling skills at higher levels. Acrobatics combines the beauty of dance with the strength and agility of partner acrobatics. Static partner holds characterize the acrobatic balance routine, while synchronized tumbling and flight elements define the dynamic exercises. Artistic Gymnastics is only offered to females at our facility. Female students will utilize Balance Beams, Uneven Bars, Vault Boards, and Trampolines to improve balance, strength, and tumbling skills.